We are a licensed, private home care agency located in College Park, Georgia. Our agency provides quality support services such as personal care assistance, companion services, respite and skilled nursing care. We were established in 1996 with goals to provide personal care services which give disabled and elderly persons the opportunity to achieve and maintain optimal levels of independence in the community. The owners bring a wealth of knowledge and experience to the agency, ultimately allowing the agency to offer a vast range of in-house resources to assist families in understanding, planning and managing care for their loved ones. With a team of competent, well-trained and compassionate caregivers, Just For You! Personal Support Services, Inc. can surely meet your needs at home. We match your preferences and needs with a qualified caregiver who can support you with your personal and daily living activities. 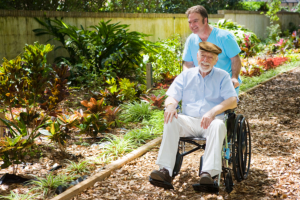 Expect that our caregivers will help you to enjoy your life to the fullest and will ease your loved ones’ concerns by knowing that you are in capable, nurturing hands. We will serve you with the highest respect, constant attention and incomparable care in order to give you the quality of life you so rightfully deserve. Want to learn more about us? Call us at 770-991-9489 or send us a message through our quick contact form. We look forward to hearing from you.